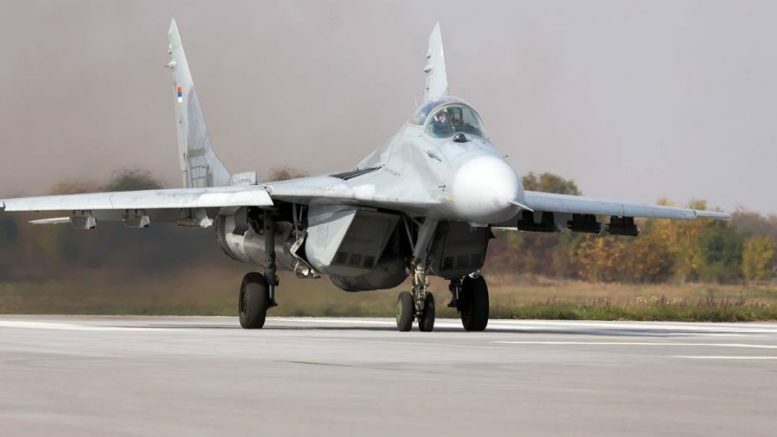 The Serbian Armed Forces have taken delivery of four MiG-29s from Belarus according to the Serbian Defense Minister Aleksandar Vulin. The four ex Belarus Air Force MiG-29s will join six MiG-29s which were delivered from Russia in October 2017 and the existing aircraft in the Serbian fleet to form a squadron of sixteen active Fulcrums. In an interview Vulin also confirmed that Serbia is expecting to take delivery of four Mi-35s and four Mi-17s from Russia later this year.